The Italian Minister of Economic Development, Luigi Di Maio, attended the launch of FS Italiane’s new high-speed rail service for freight, the Mercitalia Fast. The company says the Mercitalia Fast service is the world’s first high-speed rail service for the freight sector and marks a new era for the company’s freight business. Starting on 7 November the new freight service will connect the Maddaloni-Marcianise terminal (north of Naples), an important link between Italy’s north and south, with the Bologna Interport, a vital logistics centre in northern Italy, via the Italian high-speed network. Services will run on weekdays and will take 3.5 hours. 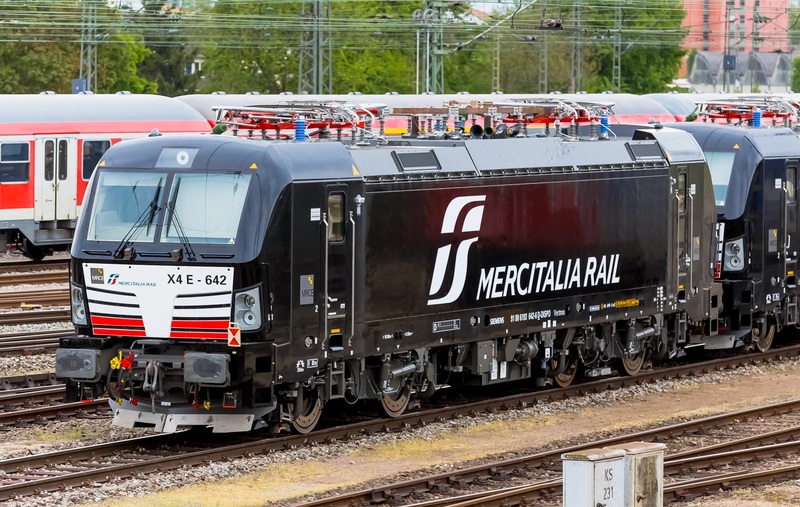 The Mercitalia Fast freight train will have a load capacity that is equivalent to 18 tractor-trailers, says FS Italiane, adding that its use of rolling containers will make loading and unloading speedy and safe. FS Italiane estimates that this first Mercitalia Fast service will take the equivalent of 9,000 tractor-trailers off Italy’s main highway every year, reducing both road traffic volumes and polluting emissions. It says that by transporting these goods by rail rather than by road will entail a carbon emissions reduction of 80 percent. “With the launch of the new Mercitalia service, the transport of goods enters the third millennium, as we implement a paradigm shift. WE make the movement of goods in our country fast, remarkably safe and environmentally friendly. These are the concrete actions of a government that strongly emphasises inter modality in transport. “Mercitalia Fast will be the first freight transport service to use the national high-speed/high-capacity rail network. Mercitalia Rail, which was founded in January 2016, has a consolidated turnover of more than 1 billion euros. In December 2017 it ordered 40 TRAXX DC3 locomotives from Bombardier, for which delivery is due to begin this quarter.